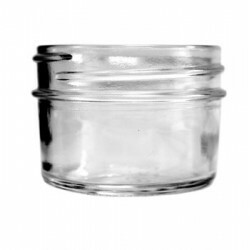 ReCap Lid : Shake, Pour and Store straight from your Mason Jar. I have loved all my products from Oz Farmer, I love drinking smoothies from glass and the pour top lids are great for that. One of my pour top lids arrived with out a seal and as soon as I contacted customer service I was sent a new one. I will definitely order products from here again. 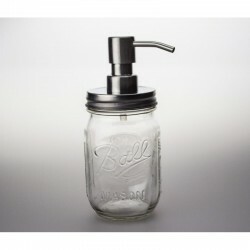 Originally designed to make, store and pour salad dressing directly from a Mason jar, ReCap lids lend themselves to a whole range of uses. From storing dry goods like popcorn, rice and nuts, to transforming a Mason Jar into an ‘on-the-go’ beverage container, customers have discovered endless uses. 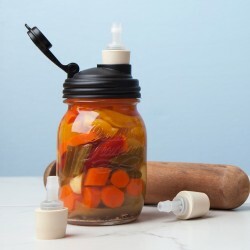 BPA-free, sustainable, spill-proof and made in the U.S.A. Safe in the top rack of the dishwasher, although we recommend hand washing. 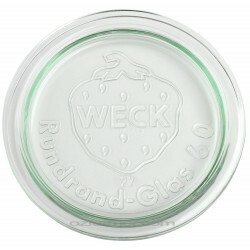 Simply screw the lid onto any wide mouth or 86mm continuous thread jar. That includes any wide mouth Ball jar. Replacement Seal to suit Recap Lid Regular Mouth. Price is for 1 gasket only.. 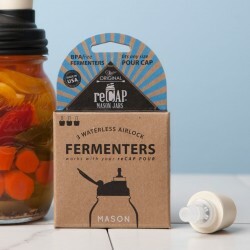 The reCAP® Fermenter: the EASIEST fermentation waterless airlock set that ferments and stores fe..